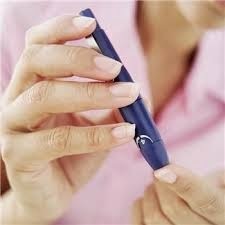 How to keep from getting type 2 diabetes? diabetes is a major problem in developed as well as under-developed countries. Its incidence is increasing day by day. Type 2 diabetes results from the development of resistance against insulin and there is a clear difference between type 2 and type 1 diabetes (click here). What is meant by insulin resistance? Insulin is released by the pancreas after the ingestion of a meal. Food intake stimulates the release of insulin. After taking meal concentration of glucose in blood increases. Increased concentration of glucose in the blood stimulates insulin release. Insulin decreases the concentration of glucose in blood by transporting it inside the cells thereby increasing its utilization and thus prevents the body from the adverse effects of high blood glucose level (hyperglycemia). Insulin resistance means, over time the amount of insulin that is released by the pancreas of the diabetic patient fail to shift sufficient amount of glucose into the cells. Thus his body tries to produce more insulin, and eventually a time comes when his pancreatic cells exhaust and become unable produce more insulin, at this time the level of glucose (sugar) in blood starts to increase and at this time symptoms of diabetes start to appear or become more severe if the patient has already been diagnosed as a case of type 2 diabetes mellitus. There are various risk factors for the development of type two diabetes. The best way keep yourself from getting type two diabetes is to eliminate the risk factors. There are certain risk factors that can’t be changed. These risk factors include family history, genetic predisposition and ethnicity. But other risk factors that are involved can be avoided and eliminated. Increase your activity do regular exercise. Weight gain and fats increase the insulin resistance. Maintain Healthy Weight. Calculate Your BMI and find out, are you overweight or not. There are various safest methods are there to lose weight. Do regular exercise, Aerobics are best to lose weight. Aerobics have many benefits besides weight loss. A study conducted by Harvard Medical School and published in NEMJ (New England Medical Journal) showed that obesity is the important risk factor of type 2 diabetes and regular exercise for 30 minutes a day for 3 to 5 days in a week significantly reduces the risk of type two diabetes. Hypertension is a scientifically proved risk factor for type two diabetes. Regular exercise and increased activity help to maintain the blood pressure. If you have high blood pressure then take anti-hypertensive medicines regularly. Smoking is hazardous to health. Smoking is considered as a risk factor for many diseases. If you are a smoker, kindly quit smoking and take a step forward to a healthy life. Take a diet that is lower in saturated fats and cholesterol. Maintain good physical activity. Proper diet (see top healthiest foods on earth) not only decreases the risk of getting type two diabetes but also decreases the risk of complications of diabetes. Those individuals who are at the borderline of developing type 2 diabetes can be benefited from drugs like metformin. A study published in the New England Journal showed that Metformin along with lifestyle changes and proper diet significantly reduce the incidence of diabetes in high-risk individuals.